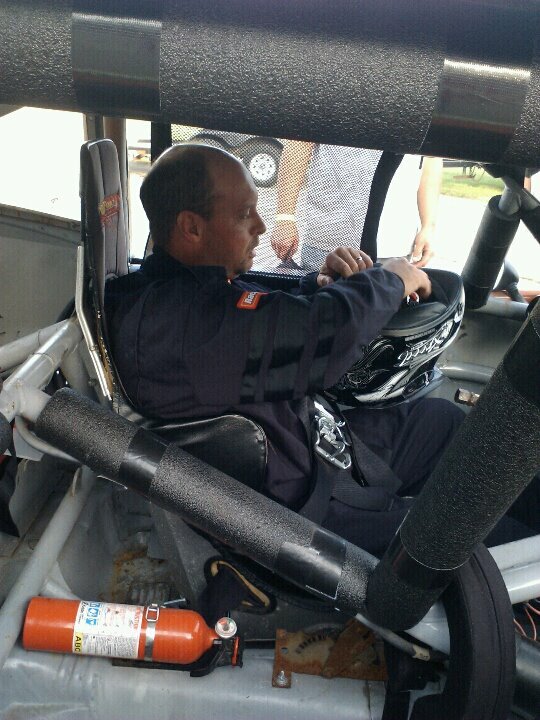 Last weekend we meet Frank Riegel, a truck driver by day and a race car driver by night! What I want to do is take you behind the scenes and let you get to meet Mr. Riegel on a more personal level! I do want to thank Frank for opening up to us, allowing old and new fans a like to learn more about him. It was pretty funny when we got through with our interview he told me, “I’ve never been interviewed for anything other than a job so I hope this is okay!” Not only was I happy with the time-table he got all this done but the content was amazing. Hope all of you enjoy, and maybe find your self at a dirt track rooting for the 10 car. 25 years went by before Riegel was able to climb back into the cockpit of a race car, “The judge told me i was done paying child support so I picked up where I left off.” [Laughs] Riegel is a father of six and a grandfather of three, so we can understand how racing might be a little difficult. In just his third season back in the saddle, Frank won in only two starts, finished second in the points all in his “rookie” year. 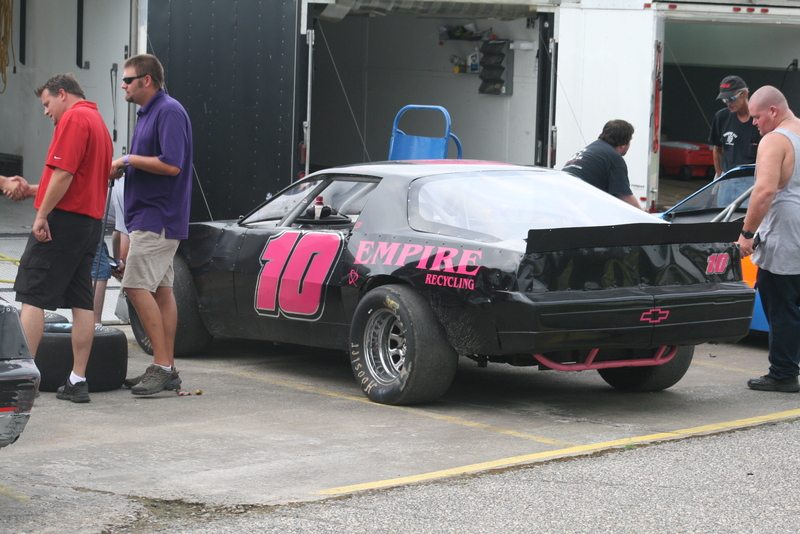 His sophomore season saw a top five points finish, and currently sits eighth in points at East Carolina Motor Speedway – would be closer to the top however he missed a few races. 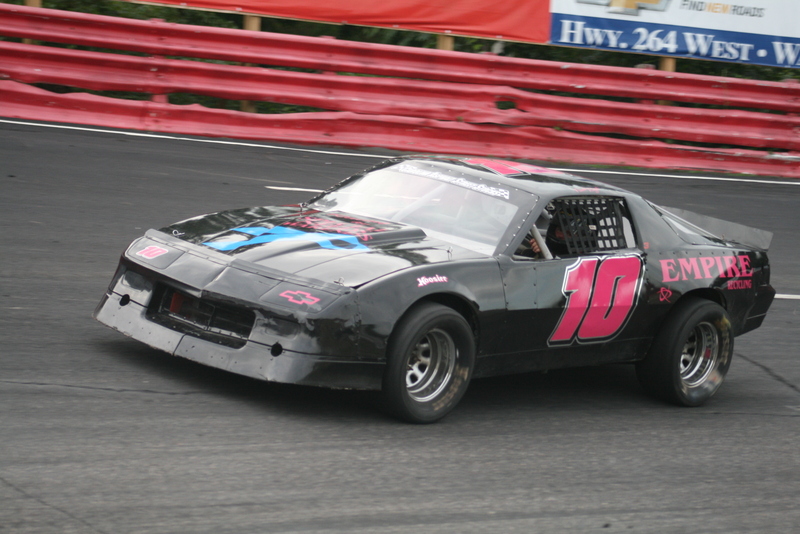 If you have not checked out our Driver Series interview featuring Frank all you have to do is click this link –> #10 Frank Riegel, a set of fun questions that all the drivers tend to have fun with. Find out what are some of his favorite things to do and eat! For a full list of drivers who have been featured this season, click here.